I support GM, if the regulatory regime is changed. Thirty years ago, I spent three months ago in the various laboratories of the Stanford Research Institute, a not for profit in California, but with significant funding from corporations and government. My time there was to understand the rudiments of the various sciences and how new ideas might develop. The concept of GM was to feed the world, (Going to be 8bn to 9bn very soon), to create renewable energy from crops and to create plastics without oil. All of these seemed noble goals and still do. It was explained to me that improved strains of all crops have been developed for millennia through selective breeding. GM is a faster way to do it. Plus, new possibilities arise from inserting genes from different species. - Reduce the need for destruction of habitat and forests, due to higher yields from existing agricultural land. All these seem beneficial too. Unfortunately, the interests of businesses in the field have not coincided with those of the planet. Consumers have been bamboozled with biased science on both sides of the argument. Better and enforced regulation is the answer. GM companies are allowed to be in the agro-chemicals business. Crops were developed to need pesticides and fertilizers. Obviously, if they “build” GM strains that use fewer pesticides they are robbing Peter to pay Paul. Lobbies created inappropriate laws and subsidies. Eg they turned food crops into ethylene and required its use in fuel, despite unfavorable economics and the need for grain. GM firms lobbied for patent laws to prevent farmers developing their own seed and many GM crops are deliberately sterile. This creates monopoly power for the big businesses involved. - There is little evidence that GM crops are bad for you. The associated pesticides are. - GM crops create monocultures- This is a regulation issue. Non-GM crops can do this too. - GM can put poor farmers in developing countries out of work. Yes, but they could also make them more productive with the right aid packages. - GM is an aberration against the laws of God.- I was chatting to her yesterday and she denies this. The bottom line is that this is a Classic argument for government intervention, not a GM is evil issue. The recent NY times article- Claimed that a comparison of US to European crop yields showed, increasing use of pesticides and lower yields compared to Europe. This the essential motivating argument for the promotion of GM products. If it isn’t true, the world is simply handing over control to a few companies for a spurious outcome. This research must be comprehensive and unimpeachable if government are going to protect the growth of these industries. This gave Ivy and me pause for considerable thought. It could be true and if so, is due to allowing the chemical companies being allowed in the GM business and inappropriate lobbying and laws. 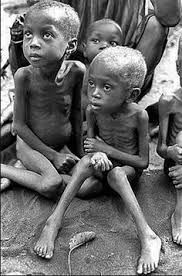 So we are now at a place where nearly 1bn will starve unless we feed them. GM could fix this. Meantime rich consumers bleat about organics and try to stop GM. The world cannot live on organics. That is a selfish solution for the rich.